Lower Brockhampton Manor House is a Grade I listed, early 15th-century timber-framed house, set within an associated moat with a fine 16th-century gatehouse. It forms part of an exceptional group of structures and monuments at the heart of the National Trust’s Brockhampton estate in north-east Herefordshire. A study of the house was commissioned by the Trust to provide a sound evidence base for the reinterpretation and presentation of the property as part of a scheme for enhanced public access. The core of the house comprises a two-bay open hall combining a central base-cruck and aisled spere-truss with an extensive box-framed eastern cross-wing. 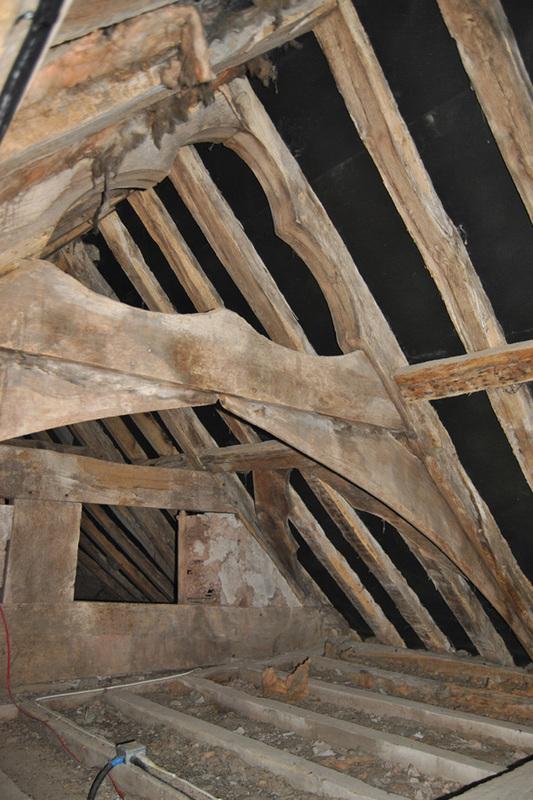 Both elements have now been dated by dendrochronology to the early years of the 15th century meaning the house was probably built by John Domulton or, more likely, his son Philip. 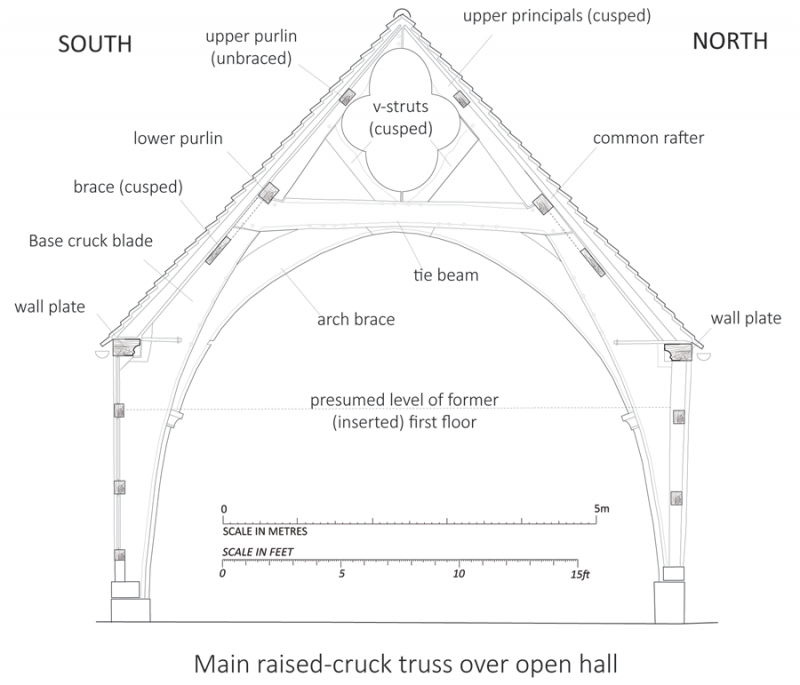 The fine carpentry of the cross-wing roof, comparable with that of the hall, suggests an original use as a ‘great chamber’; no unambiguous evidence for a corresponding western cross-wing at the ‘upper’ end of the hall was recorded. 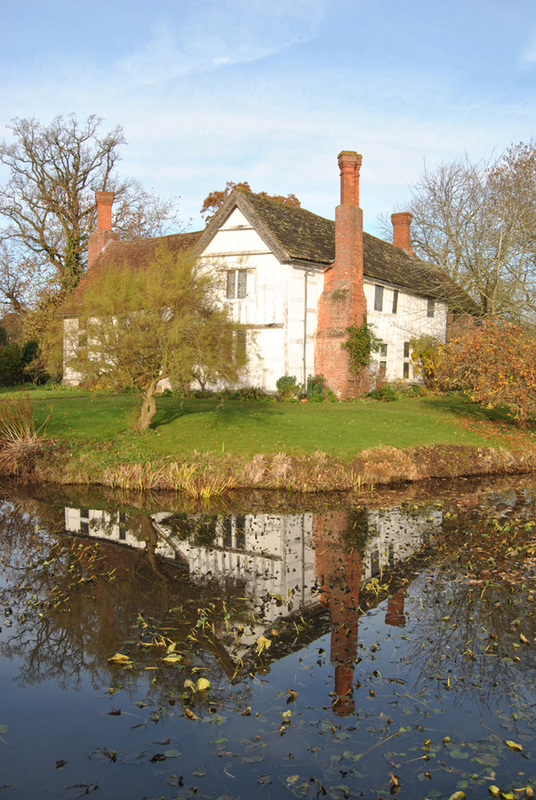 The manor house was reduced to the status of a farmhouse from c.1780 when nearby Brockhampton House was built by Bartholemew Barneby Lutley in the latest fashion. A major programme of restoration work was undertaken in the mid-19th century by John Lutley, under the supervision of the renowned architect JC Buckler. The project allowed for a full and detailed record of the house to be made and for the understanding of the evolution of the building to be revised in the light of newly commissioned dendrochronological analysis. 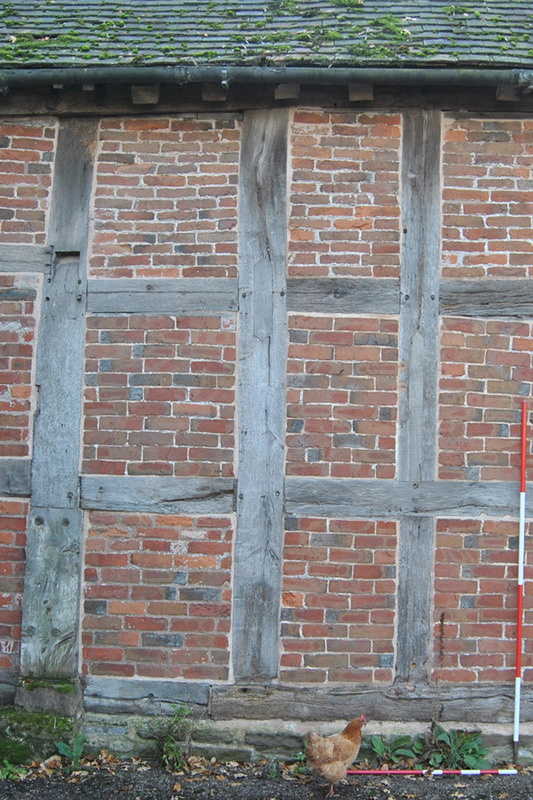 Base-crucks were built from the 13th to the 15th century and developed as a variant of aisled construction, with the aisle posts removed to maximise the utilisable space of the hall. The earliest use of base-crucks in a domestic context so far dated are at Alcester in Warwickshire (1264) and at West Bromwich Manor (1270-88). 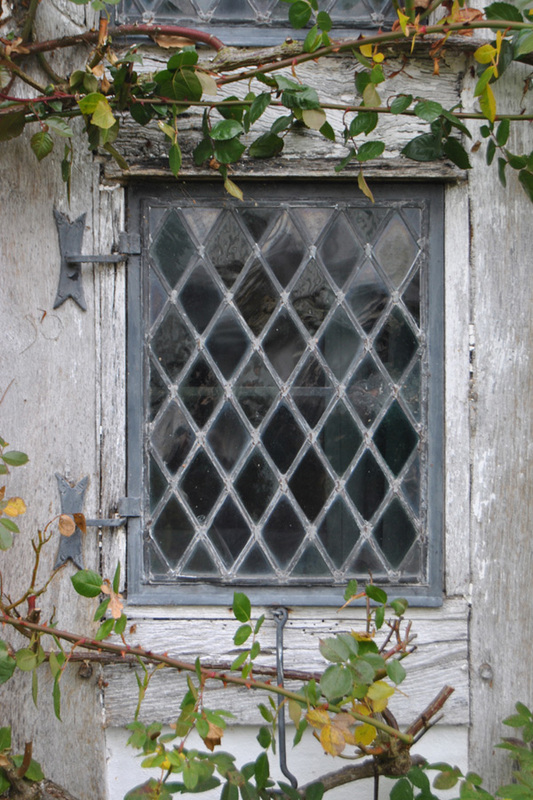 The early 15th-century date for the hall at Lower Brockhampton places it fairly late in the evolution of the base-cruck which accounts for a number of stylistically ‘developed’ features.